In a clear signal of its future intentions Dell has hired ex-HP Networking boss Marius Haas to run its enterprise unit, as its PC business struggles. In a clear signal of its future intentions, Dell has hired former HP Networking boss Marius Haas as its new president of enterprise solutions, succeeding Brad Anderson, who has packed his bags and said goodbye to the circus. Haas has been biding his time in a tech advisory role at investment outfit Kohlberg Kravis Roberts & Co after PC ditherer Léo Apotheker threw a bunch of HP execs overboard in May 2011. A 20-year industry veteran, Haas joined HP when it bought Compaq and won plaudits during a stint as SVP of strategy and corporate development - leading major initiatives within HP to improve efficiency and drive growth – and later as SVP and GM of HP Networking, where he masterminded a turnaround of the unit and oversaw the acquisition of 3Com. He returns to the industry to oversee worldwide engineering, design, development and marketing of Dell enterprise products, including networking, server and storage kit. The eponymous Michael Dell said the firm was driving to become the leading end-to-end solutions provider for customers around the world, and Haas’ experience of business, operational and strategic expertise made him a great fit to “accelerate that journey”. That Haas’ appointment comes in the midst of a major shake-up at Dell will not be lost on investors, who saw their earnings per share drop by 13% Tuesday after Round Rock posted quarterly declines in both revenues and net income. "We saw the channel drawing down inventory in anticipation of the Windows 8 launch." 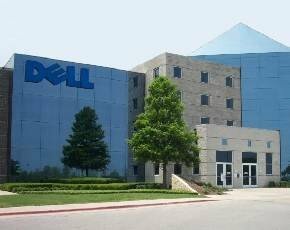 Dell said it saw growth of 6% in its Enterprise Solutions and Services sales, but this was not enough to offset a proper hiding on its traditional PC business, where it faces massive pressure from a toxic combination of aggressive rivals such as Acer and Lenovo; general erosion of its market from tablet devices; the pre-Windows 8 PC sales slump; worldwide economic headwinds and worried consumers. Michael Dell said: “Our consumer business was a challenge, down 22% with notebook revenue down 26%.... Our desktop and mobility business was down 14% as we continued to maximize operating income in a challenging environment. “Our focus continues to be on mid- and high-value systems, which contracted at an industry level in the second quarter. Our Latitude and OptiPlex products performed well in the commercial space, but we're seeing pressure on Consumer and entry-level corporate products. There's particular softness and pricing pressure in key emerging markets like India and China, as well as Western Europe. “In the quarter, we saw the channel drawing down inventory in anticipation of the Windows 8 launch. We also continued to see discretionary spending directed to alternative mobile devices like tablets and smartphones,” he added. Total sales dropped 8% year-on-year to $14.48bn (£9.16bn) and GAAP net income was down 18% to $732m. Dell CFO Brian Gladden said its second quarter performance provided “another proof-point” that the firm was on the right track. “We continued our progress in shifting the mix of our business to higher-margin enterprise solutions, led by solid growth in our server, networking, services and IP storage business,” said Gladden.